You might say Nazrul Chowdhury is threading the tapestry of his life with much success. A native of the port city of Chittagong, Bangladesh, Chowdhury is celebrating three decades in business this year with facilities in Cherryville and Cramerton. 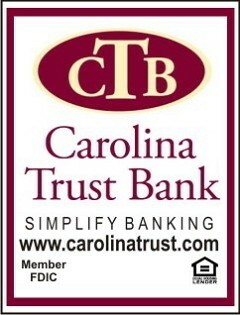 Two Southern regional banks with multiple offices in our area--BB&T and SunTrust--have announced they are merging in an all-stock deal to create a new bank valued at about $66 billion. Hickory-based MDI was honored Thursday (Jan. 31st) as the 2018 NC Agricultural Exporter of the Year. The annual “Country Fest” was held in this past Saturday, October 6, in Stanley, N.C from 8 a.m. until 4 p.m.